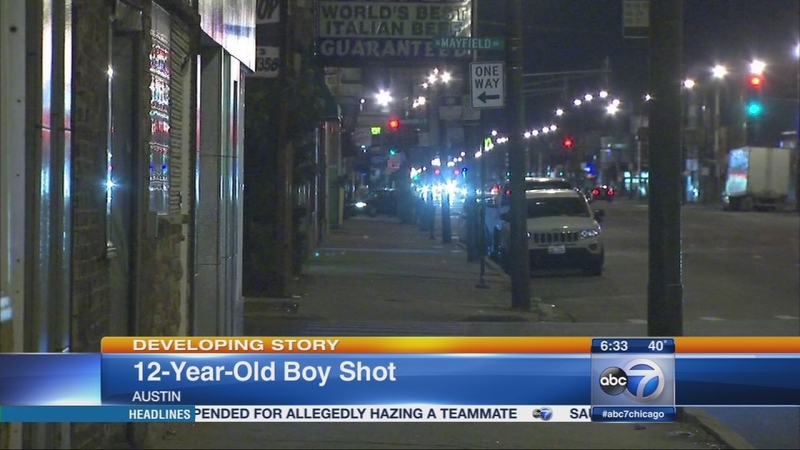 CHICAGO (WLS) -- A 16-year-old boy was charged in the shooting of a 12-year-old boy in Chicago's Austin neighborhood. Police said the juvenile suspect opened fire in the 5900-block of West North Avenue around 6:15 p.m. on April 29. The 12-year-old victim heard the shots and ran to a car, police said. That's when he realized he had been hit. The victim was shot in the back and underarm. He was rushed to West Suburban Medical Center in Oak Park and later transferred to Stroger Hospital in serious condition. The 16-year-old boy was charged with aggravated battery with a firearm. His name was not released.